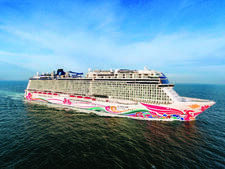 Built in 2001, Norwegian Sun underwent a three-week bow-to-stern renovation in May 2018, which resulted in refreshed staterooms, restaurants and public spaces, and three new venues -- Los Lobos Cantina, Bliss Ultra Lounge and Spinnaker Lounge. 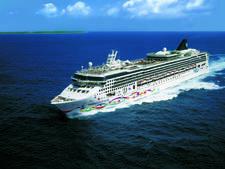 Part of the cruise line's Norwegian Edge program -- which was designed to elevate the standard of excellence across its fleet -- the revitalized Norwegian Sun boasts lots of bright, open spaces both inside and out; cozy, intimate nooks throughout the ship; and signature favorites that are popular with Norwegian Cruise Line passengers. Ocean lovers will appreciate the amount of sea blues and wave-like design elements around the ship, from the atrium, various lounges and restaurants to staterooms and the spa. 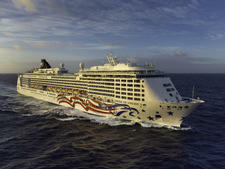 Many of Norwegian Sun's current itineraries call on Cuba, so you'll also notice nice new touches around the ship to remind you of that. 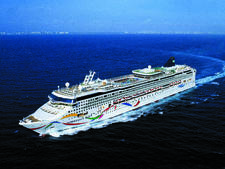 For example, the Havana Club cigar lounge and bar, Cuba-inspired artwork in the Spinnaker Lounge, special Cuban-themed menus and cocktails and even a Cuba gift store for those last-minute souvenirs (although you'll still have to shop ashore for authentic Cuban-made products). The bright multi-deck atrium, complete with a large circular skylight at the top, is the hub of the ship and features three decks of shopping, lounging and learning about your cruise. Four inward-facing glass elevators make for great views of the action below. 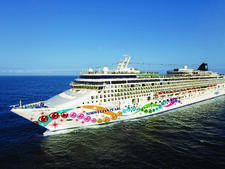 A midsized ship with less than 2,000 passengers (double occupancy), Norwegian Sun is big enough to offer plenty of onboard amenities and space, yet small enough to not feel overwhelming. Service is spot on, with crew members around the ship who are highly visible, friendly and eager to help, whether it's to point you in the direction of the lounge, answer a question about a shore excursion or handle a special stateroom request. 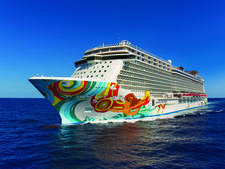 Norwegian Cruise Line favorites remain, such as the ship's fun, relaxed atmosphere and action-packed days and nights, its can't-miss sunshine hull artwork and the clever way of reminding passengers which direction they're going in stateroom hallways: The fish on the carpet swim forward (except of course, that one rebellious fish). Side note: Try the Rebellious Fish cocktail. 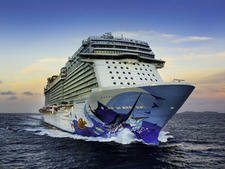 Need one more reason to cruise on Norwegian Sun? 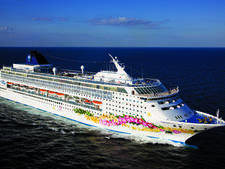 The ship's three- and four-night Bahamas and four-night Cuba sailings feature a free open bar, which includes designated spirits, cocktails, bottled beer, draft beer, wines by the glass and unlimited fountain soda and juices at all bars, lounges, restaurants and on Great Stirrup Cay (the line's private island in the Bahamas). Some exceptions apply, but there is nothing better than ordering drink after drink and not having to worry about your end-of-cruise bar tab. Worth noting is that even with free drinks flowing, passengers never seemed out of control or any more rambunctious than on other ships with regular drink pricing. 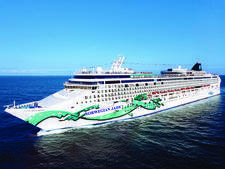 Norwegian Cruise Line generally attracts a younger crowd and Sun's value means there are lots of passengers coming from nearby in the United States. 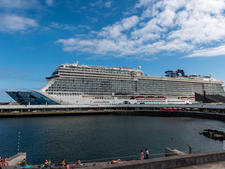 Known for being a family-friendly cruise line, there are younger families mixed with multigenerational travelers as well as some honeymooners and younger couples. 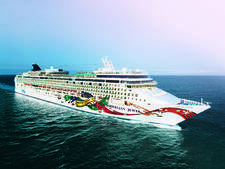 The majority of passengers, specifically on Norwegian Sun's Cuba itineraries, tend to be adults from the United States, with the percentage of children onboard being less than the average number across the fleet and on other more-popular Caribbean sailings. As this is an all-inclusive open bar cruise, it tends to attract more adults traveling without children, but the families onboard still have plenty to keep them entertained. 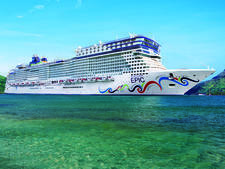 As with all Norwegian ships, passengers enjoy the casual onboard ambience, so you'll find plenty of fun, relaxed cruise mates, many who are loyal to the line and have sailed multiple times. 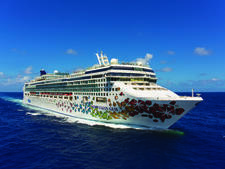 Cruise Critic’s professional photographers and our extraordinary community members have taken 2,409 pictures of Norwegian Sun. When you visit our photo galleries, you can be assured that what you see is what you get. Norwegian's casual dress code is about as relaxed as you can get. By day, pool wear and resort casual are acceptable around the ship. As far as dining dress guidelines, during the day as well as in the Garden Cafe for breakfast, lunch or dinner, passengers must wear cover-ups, shirts and footwear. At night, dress is "cruise casual," which means khakis, jeans, shorts, casual shirts and no tank tops for men and casual dresses, skirts, pants, capris, shorts, nice jeans and tops for women. In the evening, resort casual and shorts are allowed in all dining venues except Le Bistro and Seven Seas Restaurant. Tank tops, flip-flops or baseball caps are not allowed anywhere. The final night of the cruise features the chance to take photos with the captain, so many passengers choose to go all-out in their fancy clothes, especially if they scored an invite to the captain's cocktail party. Others still prefer to keep it casual and stick with shorts by the pool, which is perfectly fine as well. There is no formal policy onboard. 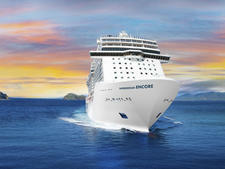 Also, don't forget to pack you best whites for the White Hot Party, which is held every cruise. 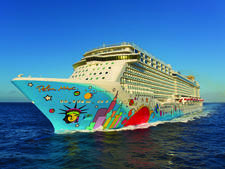 Norwegian automatically adds a gratuity of $20.49 per person, per day to the accounts of passengers staying in standard cabins and $23.49 for those staying in suites on Norwegian Sun's all-inclusive cruises. All other sailings, the gratuities are $14.99 per person, per day for those in standard rooms and $17.99 for those in The Haven and other suites. 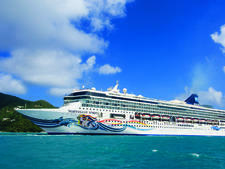 The service charge is shared among complimentary restaurant staff, stateroom stewards and behind-the-scenes support staff. Crew members not included in the daily service charge, but who passengers might want to consider tipping if they've used their service are butlers, youth program staff and bartenders. An 18 to 20 percent gratuity is added to spa and salon services, select fitness classes, specialty restaurant bills and select premium alcohol bills.